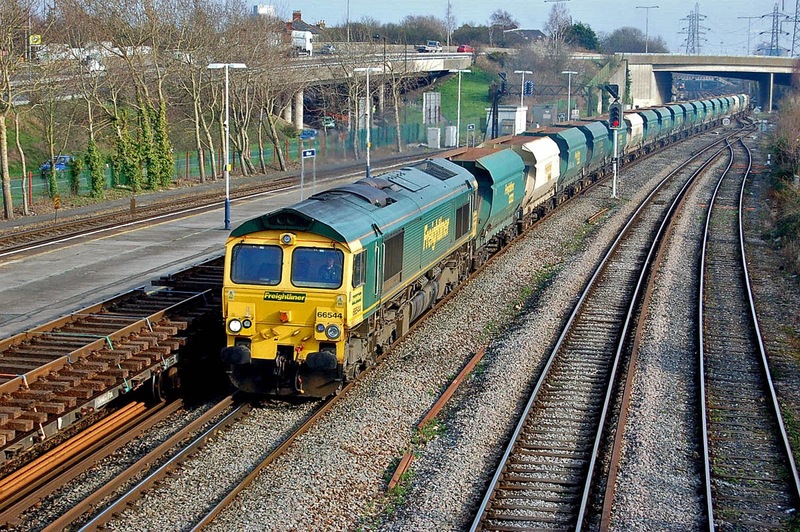 66544 with Angerstein Wharf - Wool sand empties, 10th March. Image by Ian Knight. 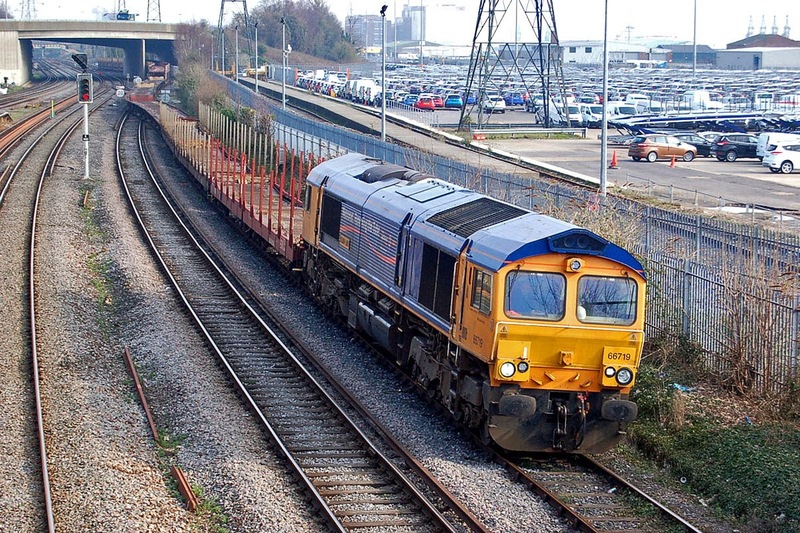 66719 METRO-LAND with the first GBRf car empties from Tonbridge, 10th March. Image by Ian Knight. 70801 still appears to be at Eastleigh TMD and was not in use - but is reported at Westbury on Saturday, may have worked back to Westbury with 6V31 on Friday, following arrival of 70802/3/4 at Eastleigh.